We have submitted iPhone app to Apple for approval today. Pretty exciting to see app becoming possible from the concept to the final product. It came out really well and polished, hope you like it. 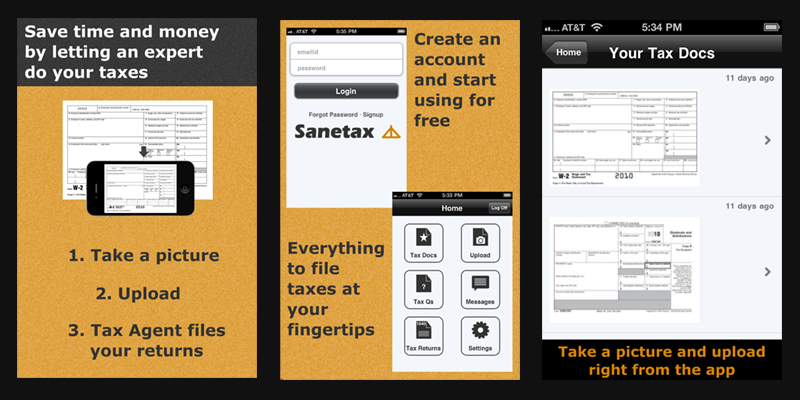 As you are aware of, mobile apps are essential to our service - from capturing tax documents to receiving updates from tax agents. 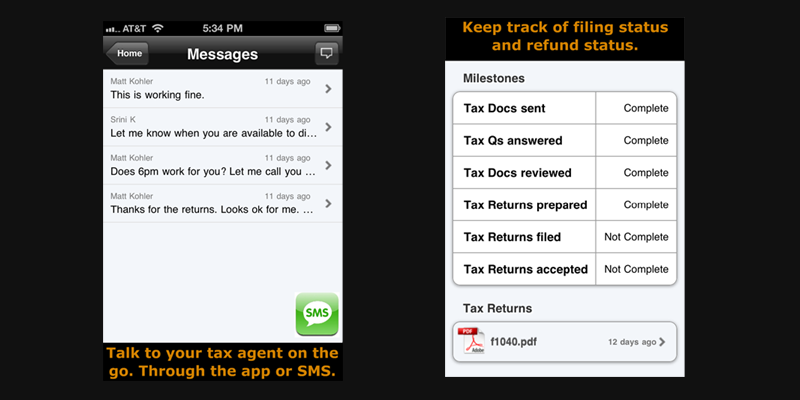 We have also included pdf preview option so that tax payers can preview the prepared taxes before giving a go to tax agent. Watch out for our announcement on the availability of the iPhone application. Till then, following are some of the screenshots. 0 Responses on "iOS/iPhone mobile app is submitted to Apple"